Ms. Teece is Founder, CEO and Chair of World Mentor, an innovative web-based mentoring program that vastly expands the benefits of traditional mentoring by using proprietary technology in combination with innovative processes and customized content. The program has global reach through affiliations with organizations with 24,000 members in 170 different countries. She is also President of the Teece Family Foundation and Chairman of the Board for Mt. Beautiful Winery, a family owned vineyard in Cheviot Hills, New Zealand. Earlier in her career she was co-founder and senior Vice President of Technology Interlink, a company that matched Japanese companies with American high tech startups—with similar activities directed toward Europe and European marketing and sales. She also served as Vice President of Technology Funding where she was responsible for financial modeling and investment analyses. 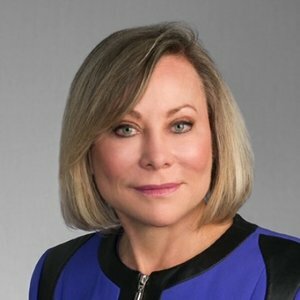 As a Vice President for Wells Fargo and Company, she managed the bank’s loan portfolios in Panama and Colombia, South America for the International Banking Group. Leigh has an MBA from the University of Michigan’s Ross School of Business with a focus on finance and international business. Her undergraduate degree is from University of Southern California’s School of International Relations.